Feb 1, 2017 – On occasion of the 2nd anniversary of the Global Catholic Climate Movement (GCCM), over 30 leaders from our network gathered in the holy city of Assisi for 4 days of strategic planning and then traveled to Rome to meet Pope Francis. This inspiring papal message was widely covered by Vatican media, including a spotlight as a top story in the Vatican Radio homepage. 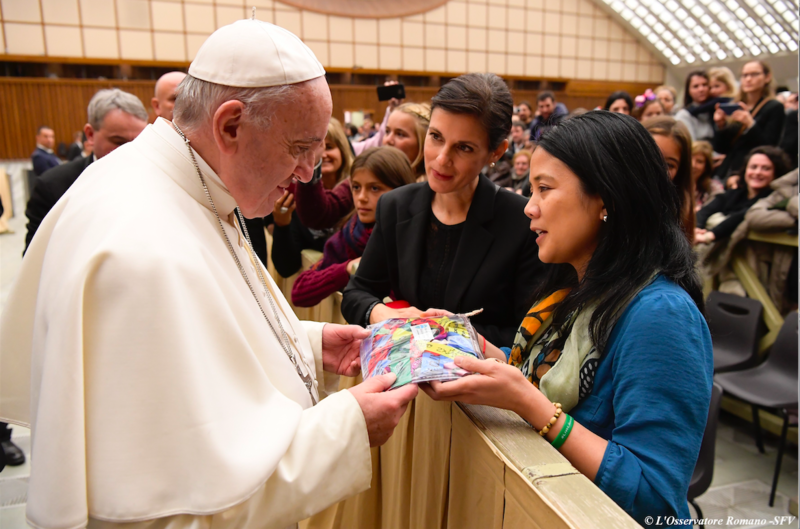 Moreover, delegates from GCCM had the opportunity to greet the Holy Father and present him with a gift of ‘climate ribbon prayers’ that had been collected at last year’s World Youth Day in Krakow and the recent Assisi gathering. Pope Francis receives the “climate ribbon” prayers from GCCM’s Associate Director, Christina Leaño. 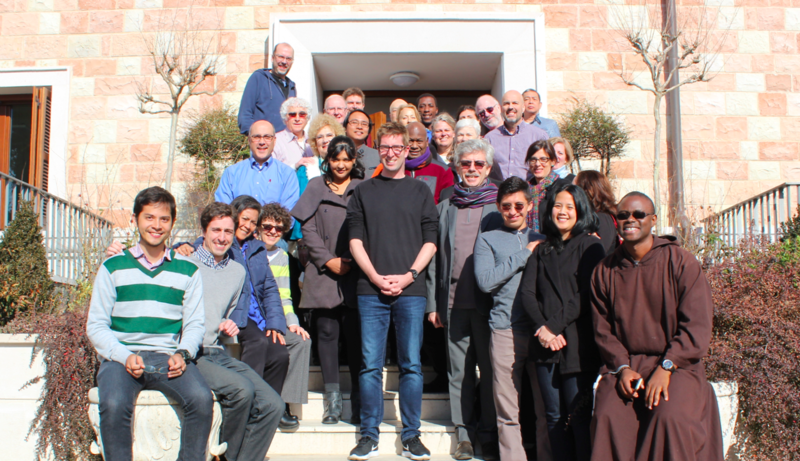 The Assisi meeting that happened right before the papal encounter was an opportunity for leaders from GCCM’s Steering Committee and new Board to come together for 4 days of reflection, community building and strategizing to guide GCCM in the next phase of its journey. Big ideas and projects were discussed to help the Church bring Laudato Si’ to life with the urgency required by the climate crisis. GCCM’s Steering Committee, Board and Secretariat in their Assisi meeting, joined by His Eminence Cardinal Ribat (president of the Federation of Bishops Conferences of Oceania). The combination of the Assisi gathering and the Holy Father’s special message will serve as an ongoing source of inspiration to better serve the Church in its mission to care for our common home. Let us walk now together with renewed hope and strength into the next stage of our journey.